I’ve been bad about my fresh picks order lately. I’m not using all the veggies as diligently as I should. But I have used most of them. 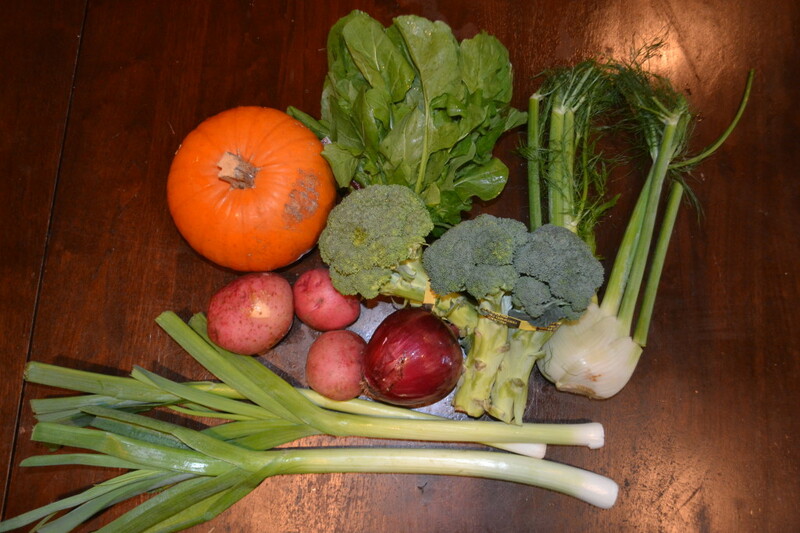 On October 8th we received a pumpkin, fennel, broccoli, arugula, leeks, potato, and red onion. I made the leeks and potato into a lovely, simple soup. The broccoli was steamed, the fennel was roasted. Red onion was put into a salad or something, I can’t remember. The pumpkin is decorating my house and the arugula was unfortunately wasted. 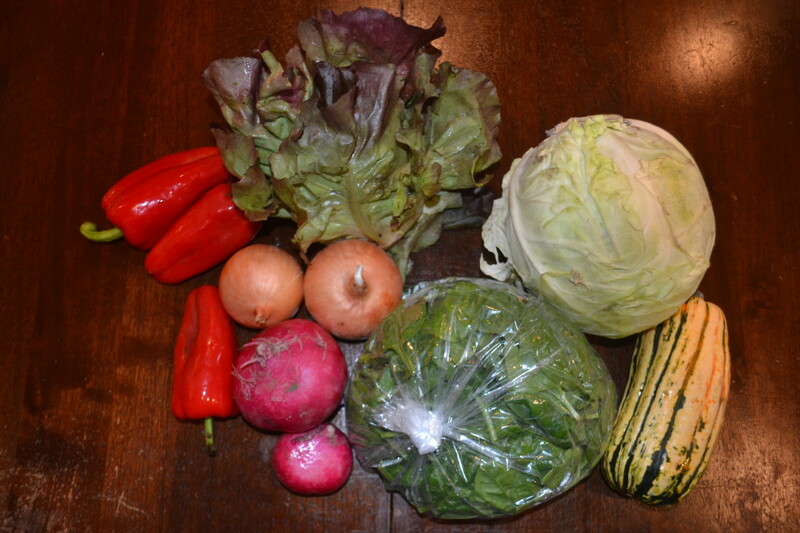 On October 22,butter lettuce, red peppers, cabbage, onions, spinach, squash, candied turnips, and onions. 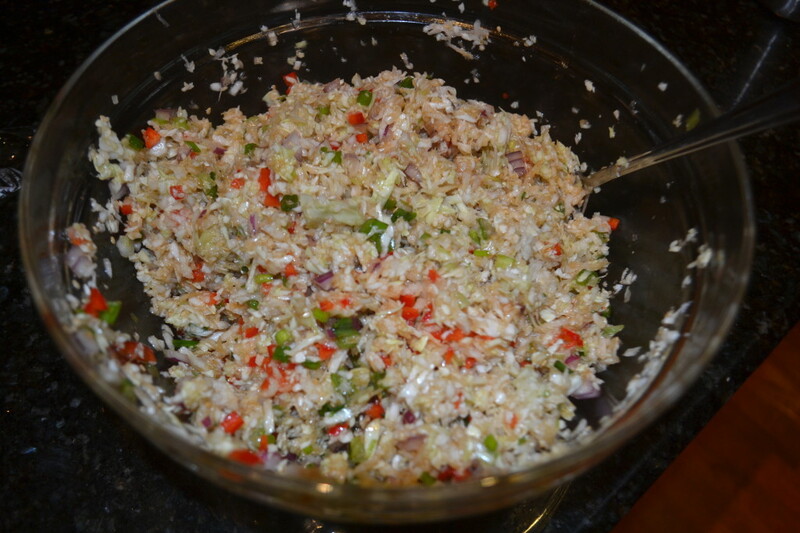 Cabbage was shredded into an Asian Style Slaw. I also used one of the red peppers for that. 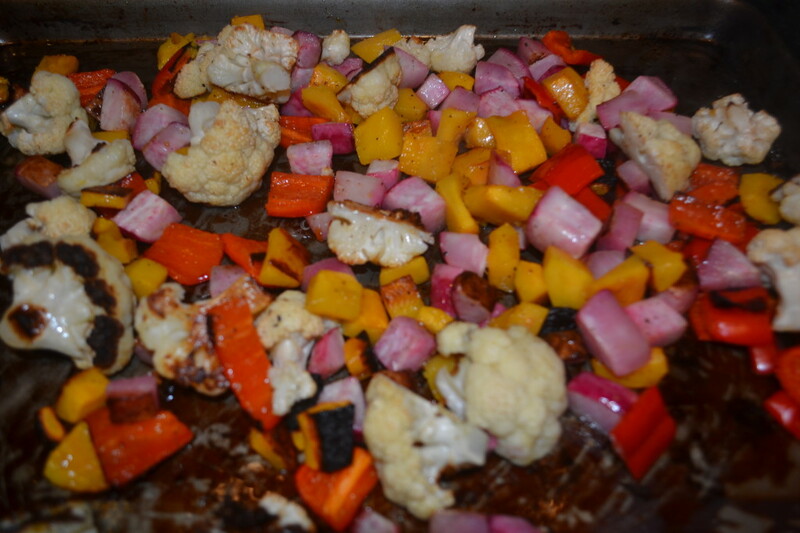 Squash, turnip, and leftover red peppers were cut up with some cauliflower and roasted another night. In the winter I love roast veg. There a few veggies that don’t taste great roasted with a coat of oil, salt and pepper. Spinach made a nice salad. Onions in our house always get used but I can’t remember what I did with these. Finally, the butter lettuce died before I could get to it. This entry was posted in Daily Fun, Food and Recipes by Nikki. Bookmark the permalink.